The Federal Reserve has kept interest rates at basically zero for what seems like an eternity, pushing investors of all stripes into high-yielding sectors. Real estate investment trusts — those high-yielding entities that pay out most of their profits in dividends — have been one of the expected beneficiaries. But while most people are familiar with equity REITs — the kind that own and manage buildings — another kid on the block might be of interest: mortgage REITs, or just mREITs for short. These mREITs don’t actually own apartments, office buildings or shopping malls. Instead, they either loan money out to property owners, or they simply buy existing mortgages and/or mortgage-backed securities. Many of these companies borrow money at near-zero interest rates, then use that leverage to buy up the MBSes. Of course, this is far from a perfect system. The looming storm cloud of rising interest rates has clipped mREITs, because as short-term interest rates, so do borrowing costs. Thus, share prices for mREITs have fallen hard. And that’s where the opportunity lies. Many mREITs have already begun cutting their leverage amounts, as a rate hike has been expected for some time now. Plus, many of these mREITs are now trading down below book value. Finally, there’s still growth in the tank, as many traditional banks have cut their real estate lending operations, leaving mREITs in position to jump through the door. This is far from a riskless sector to play in, but the rewards for the brave are sky-high dividend yields. Today, we’ll look at five such mREITs yielding anywhere from 7% to 14%. Private equity group Blackstone (BX) has long enjoyed great returns in the real estate sector via its private funds. Well, retail investors now have the opportunity to enjoy those same returns via its mREIT, Blackstone Mortgage Trust (BXMT). BXMT, as Blackstone will tell you, originates and acquires senior loans collateralized by properties in North America and Europe. The trust focuses its attention on the commercial real estate market, so that’s office buildings, apartments and shopping malls … not your neighbor’s house. 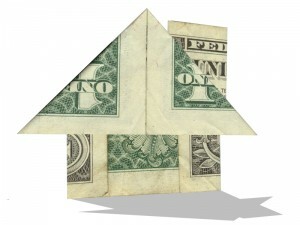 The “senior” part of its description means that it often has first dibs on a property if an owner files for bankruptcy. By focusing on quality underwriting standards and commercial buildings, BXMT can thrive. Its latest earnings report showed Street-beating profits, and the continued cash flow has helped the mREIT juice its dividend by more than 90% since 2013. More growth could be on the horizon as many commercial real estate loans will need to be rolled over during 2016-17. That will provide BXMT the opportunity to add to its portfolio of potentially higher-yielding instruments. Unlike BXMT, mREIT Hatteras Financial (HTS) is a play on residential mortgages. The firm doesn’t originate loans, but invests in pools of mortgages and MBS bonds — the vast bulk of which are agency-backed securities. Agency-backed bonds have government guarantee from organizations like Fannie Mae or the Department of Housing and Urban Development. That gives them a slightly less risky profile than other mortgage loans, as the government will step in and cover any losses on defaults. The key for HTS is that the majority of this portfolio is tied to adjustable-rate or hybrid-rate mortgages. Based on how they are structured, ARMs adjust up or down after a certain point based on interest-rate movements, so they’re protected somewhat against rising rates, and Hatteras will continue to see larger cash flows if rates increase. Simply put, Hatteras offers an … interesting blend of risk and safety. But, investors are at least rewarded quite handsomely for it. Asset manager and PowerShares ETF sponsor Invesco (IVZ) created Invesco Mortgage Capital (IVR) during the height of the credit crisis to bottom-fish some of the deals in the MBS space. IVR owns every variety of mortgage bond under the sun — agency and non-agency, and residential- and commercial-backed mortgage loans and bonds. According to its latest fact sheet, its portfolio is evenly split among commercial credit, residential credit and agency-backed MBS securities. That little bit of everything makes Invesco Mortgage Capital a broad play in mREITs. IVR has been very proactive with regard to rising interest rates and has continued to cut its leverage. Invesco’s new strategy is to create an interest-rate-neutral investment portfolio. That lack of leverage has resulted in dividend cuts in this mREIT, including a 5-cent cut to 45 cents quarterly back at the end of 2014. Even then, though, IVR still yields a healthy 12.5%, and the new strategy should help Invesco Mortgage Capital weather any hike in interest rates. When it comes to mREITS, Two Harbors Investment (TWO) is about as vanilla as they come. It invests in residential mortgage-backed securities that for the most part are agency-sponsored. Those are long-life bonds that provide steady cash flows and dividends. Two Harbors does have some exposure to non-agency-backed debt. These loans by nature offer higher yields, and TWO doesn’t need to leverage up as much to get return from them. Additionally, the mREIT has a portfolio of prime nonconforming residential mortgage loans and mortgage servicing rights. MSRs are basically an agreement between the original lender and a servicer to collect the rent and other perform duties. By servicing some mortgages for outside parties, TWO has a built-in hedge for a rising-rate environment. Like IVR, Two Harbors has cut its dividend in recent years as it has prepared for rising interest rates. However, the mREIT is much more prepared for when the Fed finally raises rates, and could be an ideal buy going into the rest of the year. All in all, mREITs have a lot of moving parts and can be difficult to evaluate on a single-stock basis. To that end, a broad strategy might be better for most investors. The $1 billion iShares Mortgage Real Estate Capped ETF (REM) is the largest fund tracking the industry, and currently holds 38 different mREITs, including the ones we’ve listed, plus others such as stalwarts Annaly Capital Management (NLY) and American Capital Agency (AGNC). This broad grouping allows investors to eliminate some of the guesswork on which mREIT has the best blend of assets to suit their needs. REM’s portfolio also undergone a change over the last few years, as it previously included banks that were heavy mortgage issuers. This helps explain its very poor performance over the past five years or so. Most of those banks are no longer with us or have been swallowed by larger institutions. Today, REM offers a chance to play the beaten-down sector as a whole and score a whopping 14%-plus dividend (based on its past few payments). As of this writing, Aaron Levitt was long REM. Article printed from InvestorPlace Media, https://investorplace.com/2015/08/mreits-high-yield/.